Doylestown, Pa. (September 2014) – The National Tactical Officers Association (NTOA) is pleased to announce a partnership with veteran-owned KOTA Longboards®. 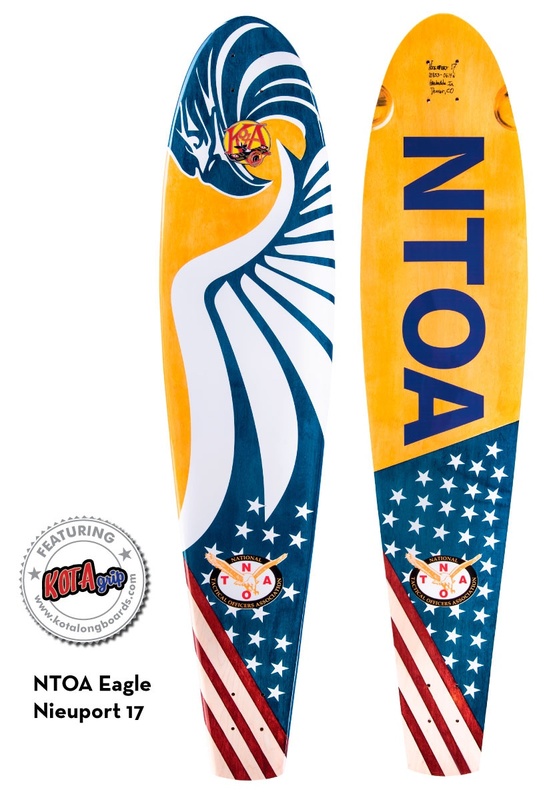 Through this new partnership, NTOA and KOTA Longboards® will bring the members of NTOA three uniquely branded longboard options: NTOA Eagle Edition Nieuport 17 longboard, NTOA Veritas Edition Handley Page longboard and NTOA Law Enforcement Customizable Boards. A portion of the proceeds from each longboard sale will benefit the NTOA Educational Scholarship Fund. The NTOA Eagle Edition Nieuport 17 longboard measures 9½” W x 43 7/8″ L and is made from American Hard Rock Maple. It is available as a complete set up only and includes Paris 180mm trucks, 73mm Seismic Speed Vent wheels, KOTA precision bearings and ½” risers. 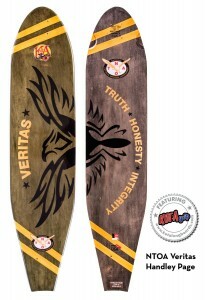 The NTOA Veritas Edition Handley Page longboard measures 9½” W x 43 7/8″ L and is made from 7-Ply American Hard Rock Maple. It is also available as a complete set up only and includes Paris 180mm trucks, 73mm Seismic Speed Vent wheels, KOTA precision bearings and ½” risers. 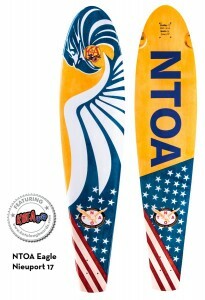 The NTOA longboards retail for $314 and can be purchased at the NTOA store. The longboards make ideal retirement gifts, awards, team building activity or just all around cruising fun. 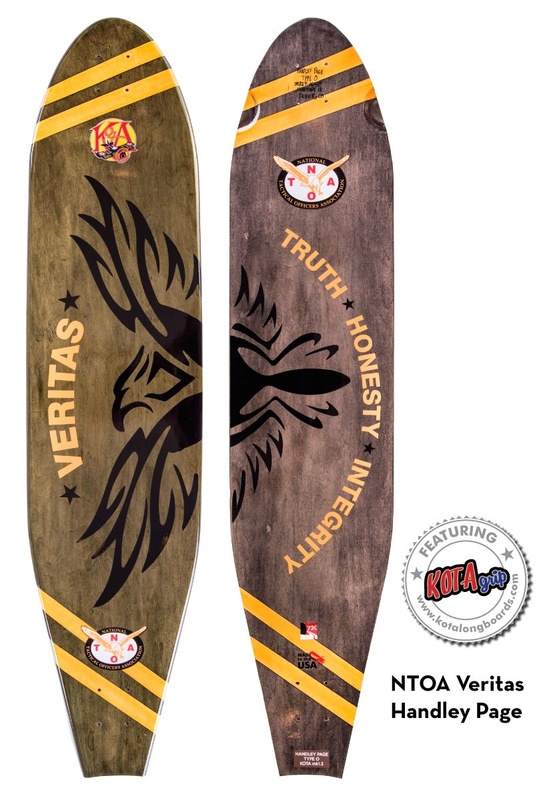 The Eagle and Veritas longboards can be customized to include an individual’s agency, SWAT patch or other insignias. The first personalization is $30. This entry was posted in Misc., SWAT. Bookmark the permalink. It’s made well and is probably good quality but it has surf shapes only which limits its use to cruising only. It seems it quite expensive with my balance. Do you have any suggestion for a cheaper longboard? Dude, I haven’t bought a skateboard since the 1970’s! The NTOA longboards seems a bit expensive but worth it. Yeah, good thing I’m a little too old for that kinda of thing. Skateboarding for me was in the 1970’s!